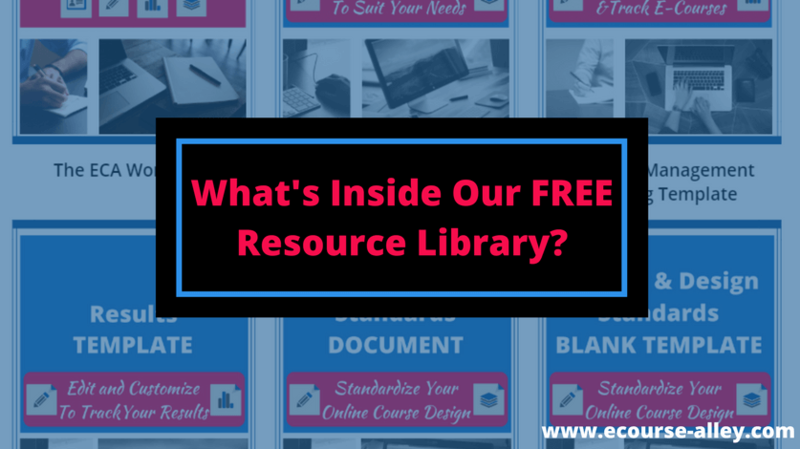 WHY EXPLAIN OUR FREE RESOURCE LIBRARY? Have you ever been reading someone’s website and were prompted to sign up for their free resource library? "But what’s inside this resource library?" "How do I know if I will find their resources useful to me?" "Is it what I am looking for to help me with my business?" I know I’ve often wondered what’s inside someone’s resource library when I’m contemplating if I want to hit the subscribe button or not. It's like I'm left in the dark when they don’t provide at least a brief explanation of the library contents. Therefore, I thought I’d be different and provide you with a brief explanation about each resource inside our library: The ECA FREE Resource Library. Also, I provide links to any relevant blog post so you can learn the reason why a particular resource was created. So, if you're interested in joining our community after you read this post, you can sign up below and also gain instant access to our library! Receive Access to My FREE Resources! Since this blog post is going to continually grow, as more resources are added to our resource library, I have created interactive tabs that you can click on to quickly jump to whatever you want to read. Click on the tabs below to learn more about each resource. 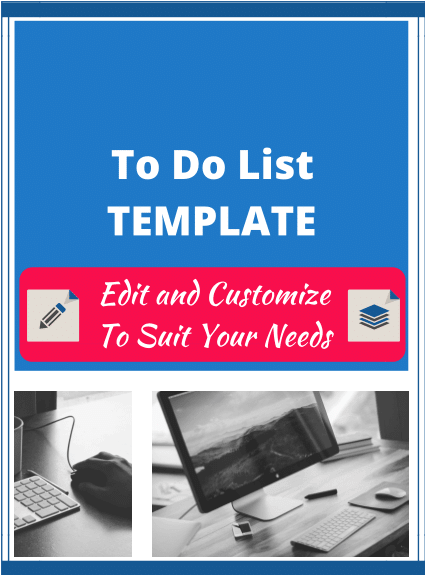 This is an easily customizable template to organize all the tasks you must do when starting an online business. Therefore, you will be able to add your own columns, modify the design and change the drop-down list entries. In this guide, I share the steps I took to launch my e-course business. From actual ‘To Do’ lists to templates and advice on how to brainstorm, organize and track your e-course creations, this guide gives you several FREE resources that will hopefully help you to work smarter. So, if this is something you are interested in, just sign up below and you will gain instant access to our resource library. 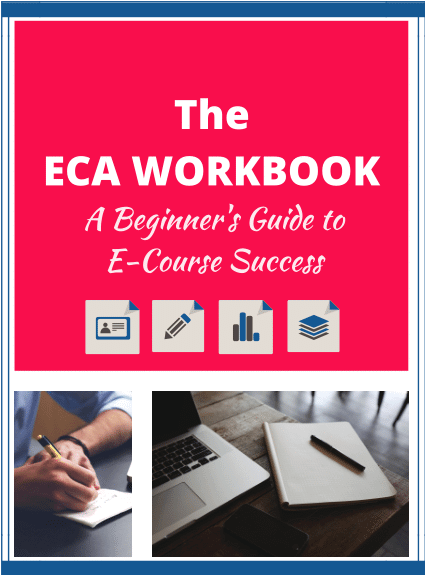 I hope you will enjoy the ECA Workbook and that you are able to find the strategies, templates and lists that I provide useful in your own e-course creation journey. 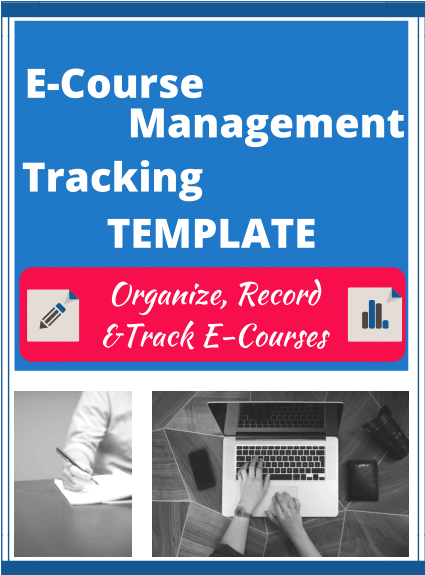 This template should help you organize the e-courses that you create, keep a record of their progress and track how well they succeed in the marketplace. This is an Excel template that I created to accompany the blog post The Science of E-Course Creation. It allows you to organize your marketing experiments so you can better see what is working and what isn't working. 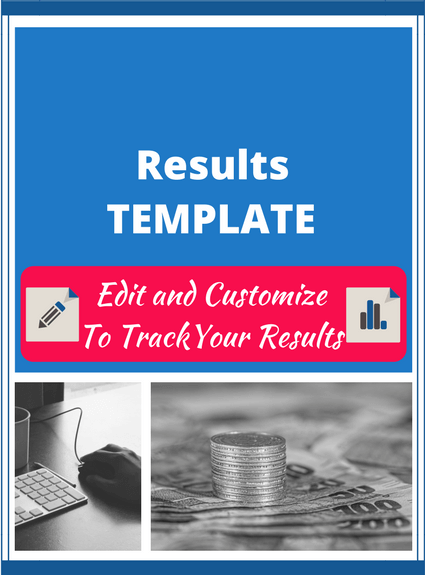 So, if you fill out this Results Template diligently, it should help you reproduce what succeeded in your content marketing experiment(s), know where to tweak your process in the future and help you continuously improve so that you can become even more successful. In order to help you brand your online course designs, it is important to create a Writing and Design Standards document. This document will become your go-to guide for everything with respect to the “look and feel” of your online courses. If you want to learn more, check out my blog post, 6 Branding Tips That Will Make You More Successful with Your Online Course Business, for more information on branding and how to create your own writing and design standards. 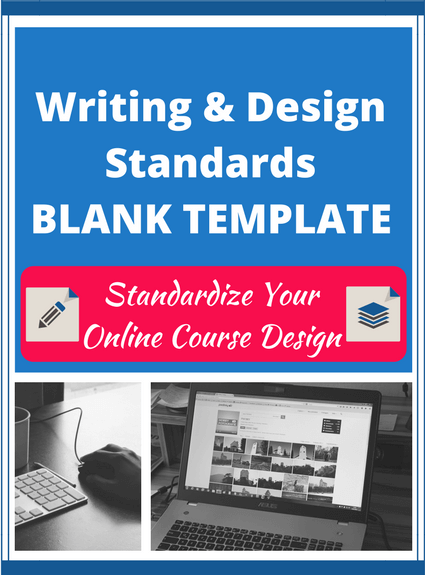 This is a blank template to help you develop your own writing and design standards. It is basically the resource I described above, but it only includes the table itself with a few headings. It is also referred to in the blog post, 6 Branding Tips That Will Make You More Successful with Your Online Course Business. 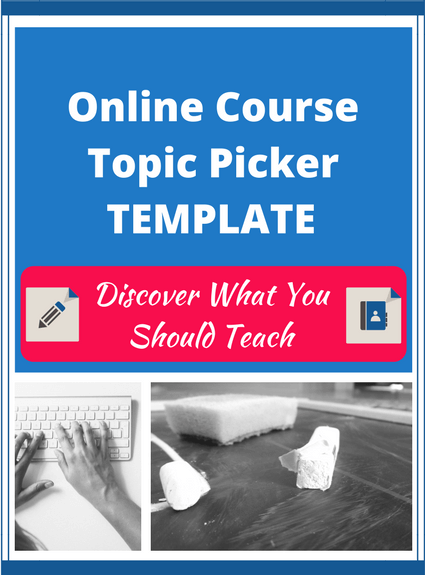 This is a blank template to help you determine what would be the best topic for your very first or your next online course. It includes instructions for how to use the table as well as an example of how it works. You basically input topics that you are interested in or good at and rank them according to certain characteristics. I've included characteristics that I think are important but you can always add your own by adding more columns to the table. Then once you have ranked each topic against the criteria, look at the "Totals" column on the far right to gauge which topic ranks the highest and therefore satisfies more of the criteria. This free resource is also referred to in the blog post, So You Think You Can't Teach (an Online Course)? 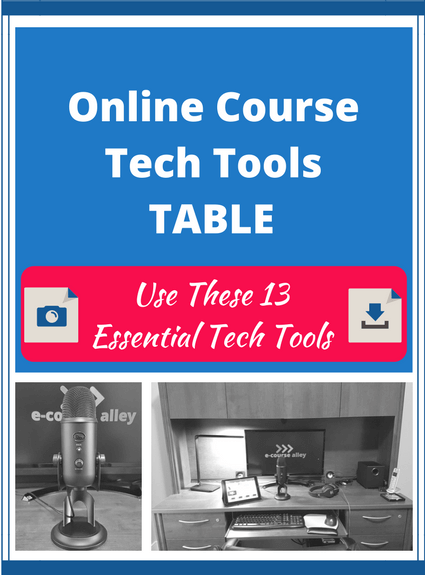 This is a table summarizing 13 must-have tech tools for creating your first online course. This table is divided into two columns to show our recommended software versus hardware tech tools. It also contains examples and links to websites associated with these examples. You can find more information about these tech tools in the blog post 13 Must-Have Tech Tools to Create Your First Online Course. This is a diagram outlining when each of the 13 tech tools from our Online Course Tech Tools Table should be used during the process of creating an online course. This process diagram summarizes the steps from the storyboard phase or Online Course Blueprint to the final production phase of uploading your course content to an online course platform like Thinkific. 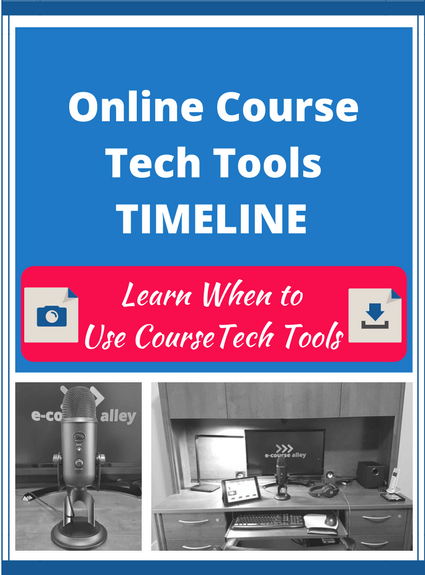 You can find more information about these tech tools and the online course production timeline in the blog post 13 Must-Have Tech Tools to Create Your First Online Course. This cheat sheet summarizes the obstacles a business may face when trying to build trust with their audience and some actions you can take to overcome them. 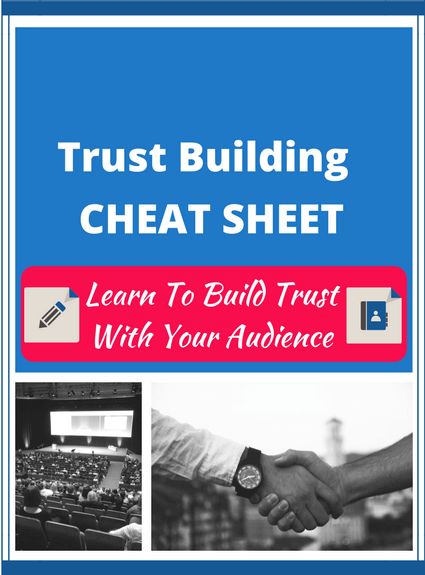 It also outlines 4 Key Tips to Strategically Build Trust With Your Audience. 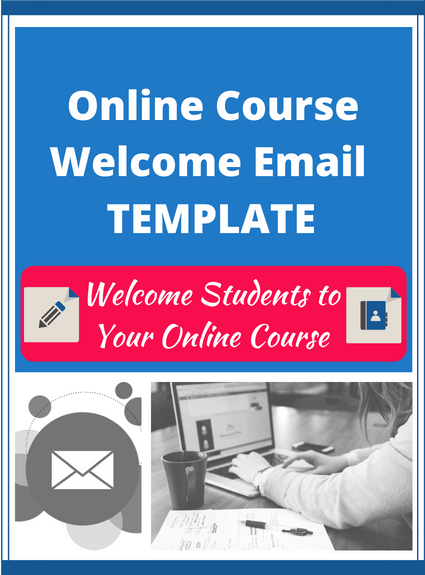 This is an email template you can use to welcome students to your online course. It includes areas in red that you can fill in with specific information related to your course and you as an instructor. This free resource is also referred to in the blog post, How to Receive 5-Star Reviews for Your First Online Course. 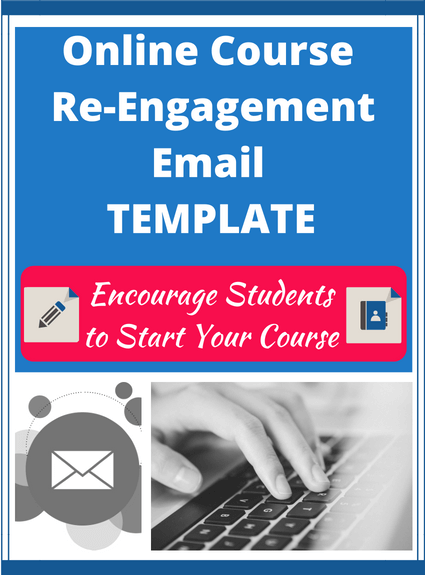 This is an email template you can use to help re-engage students who have enrolled in your online course. This email is ideal for students who have either never looked at the course content (and it has been quite some time, i.e. months) or for students who started the course but haven't returned in quite some time. It includes areas in red that you can fill in with specific information, like student and course name. 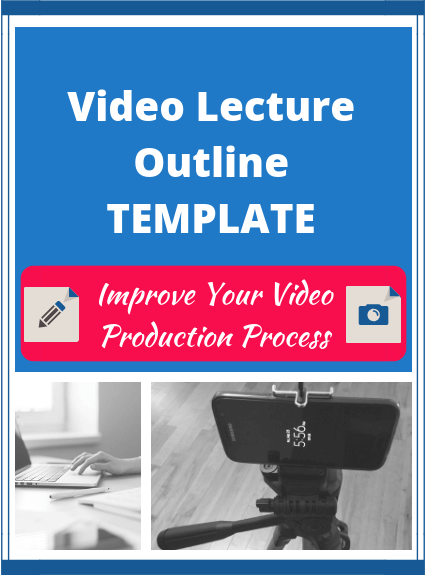 Use this template to help you outline your video lectures before you film them. This simple task really helps me to stay on track while filming and reduces the amount of ‘takes’ I have to do. This free resource is also referred to in the blog post, Streamline Your E-Course Production: Create a Video Lecture Outline. I hope you have found this post useful and now have a better idea of what’s inside The ECA FREE Resource Library. I also hope it encourages you to follow your passion and start an online course business (if you haven’t done so already). Again, note that this post will be updated when new content is uploaded to the resource library. So check back for more information if you didn’t see anything yet that may be useful for your business. However, if you are ready to be a part of our community, then great! Just sign up below and you will not only get access to all the resources that end up in this resource library, but you will also get exclusive tips and other information that I only share with my subscribers. As always, thank you for reading and I hope you will join the e-course alley community!